Rather than discuss the many different tillers as power sources, we have decided to concentrate on attachments and their functions. A chart following the tool descriptions explains which manufacturer carries which tool. 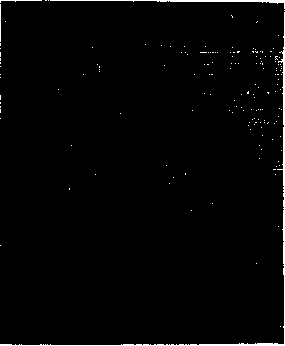 Manufacturers' addresses are listed in the index. 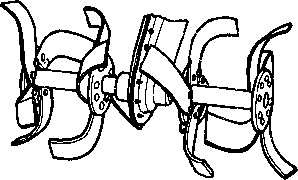 Tines are the blades of the Rototiller which do the actual soil tilling. Many manufacturers have coined their own names to represent their tines as unique. But actually, there are just a few basic designs that most follow. than the slicer, good for breaking up sod on virgin ground; cuts and chops plant residue with little clogging. Chisel -Sometimes referred to as pick tines, good for rocky ground, clay, and hardpan. Clogs easily, not good for grasses or weeds. 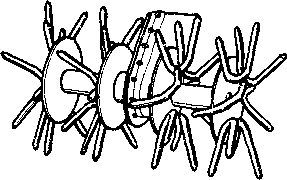 Bolo—Heavy, wide tines good for normal cu vation and mulching without clogging with pLm residue. tiv jer—Provides positive traction, good for cul-I'ating and seedbed preparation. 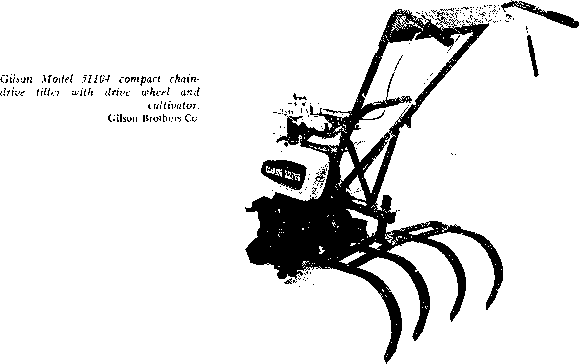 with the back plate removed, it converts to a cultivator. 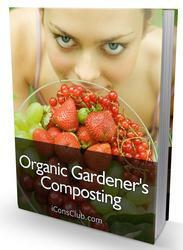 It can also be used to dig irrigation or drainage ditches. 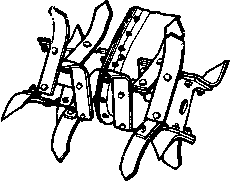 Cultivators appear with many different names and variations on a similar theme. Shovels, spikes, or spring-tooth tines are either lixcd permanently on a irame or bolted to a toolbar, the latter being adjustable. 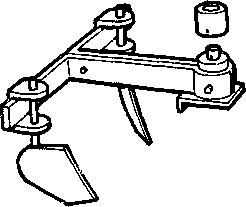 Called either cultivators or harrows, they perform the function of removing weeds or preparing seedbeds by being pulled through the soil. Five-tine weeders, plow sweeps, and various hoe designs are available. require digging holes. Hillers then fill in the furrow or hill-up around other plants. It is worth mentioning that a hilling plow is actually one-half of a furrower. Some companies offer a furrower in two parts which, working together, furrow and hill separately. Fur-rowers are sometimes referred to as moldboard plows and hillers as turning plows. A sweep plow is another kind of cultivating tool which makes a wide pass to cut weeds beneath the surface of the soil at a desired depth. 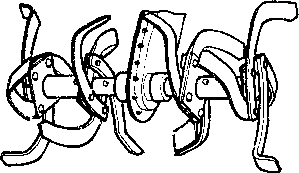 Sometimes called cultivating shields, side discs, or disc shields, these devices bolt onto the outside of rototilling tines to protect young plants from having soil spill over on them. Disc shields keep soil from falling onto young, fragile plants. Most small tillers are sold with small semi-pneumatic or rubber tires which offer little traction. These are fine for rototilling since traction is provided by the action of the tines themselves. However, for plowing and cultivating, the extra traction provided by larger pneumatic or rubber tires or steel wheels is desirable. Tire chains, transport wheels, and wheel weights are also available. 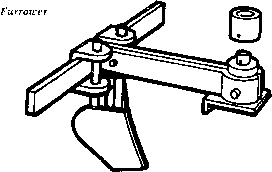 Small depth gauge wheels are provided with some attachments to offer support and depth guidance. 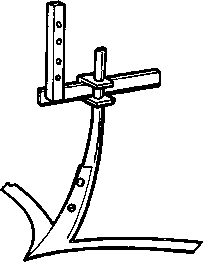 Some attachments mount directly onto the tiller frame, others to a toolbar or plow foot which is mounted to the frame. 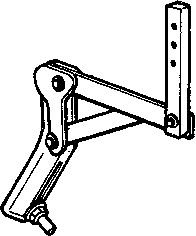 They offer a means of adjusting tool positioning for both width and depth of work. Bulldozing and snow-plowing blades appear with many of these models. Snowbiowers are uncommon. 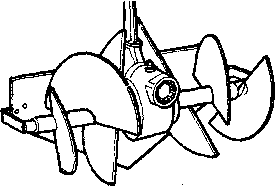 Mowers are uncommon to small, North American tiller models because the power takeoff is usually limited to use with tiller tines. European models, however, are built with versatility in mind and have attachments for rotary, sickle bar, or spindle reel mowing. The listing of European models is meager here because most tillers are built to perform so many utility functions that they have been included in the two-wheel tractor section. See the Appendix for addresses.